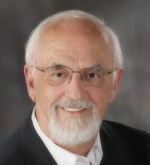 Bruce L. Mouser is professor emeritus at the University of Wisconsin-La Crosse. He has authored numerous articles on African and African-American history, with the latter focusing on either the African slave trade or black settlement in upper Mississippi River towns. He is a recognized authority on the history of commerce along the upper Guinea Coast before the imposition of colonialism. His most recent book, For Labor, Race, and Liberty: George Edwin Taylor, His Historic Run for the White House, and the Making of Independent Black Politics (Madison: University of Wisconsin Press, 2011) chronicles the life of the first Black American to run for the office of president of the United States.